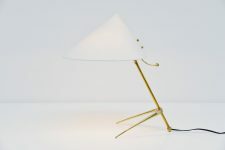 Nice large sized table or desk lamp designed by J.T. 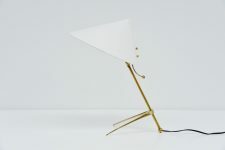 Kalmar and manufactured by Kalmar Werkstatten, Austria 1955. 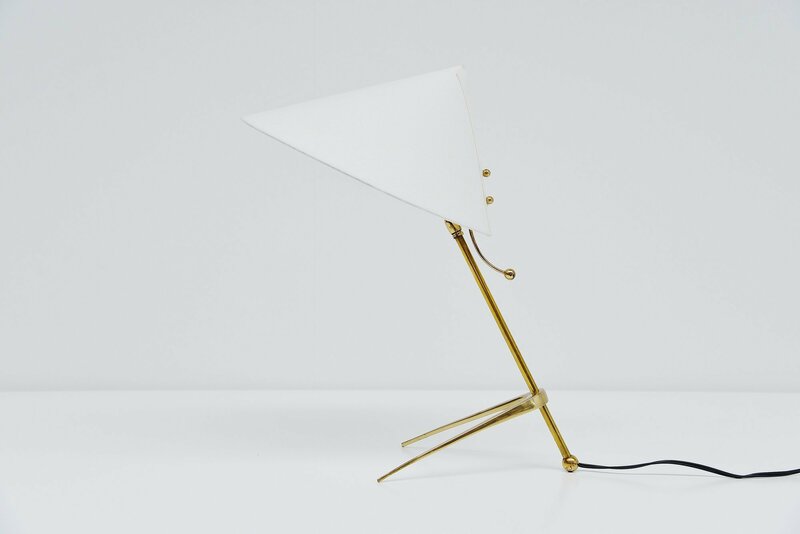 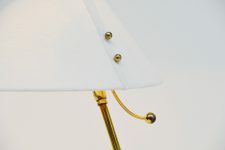 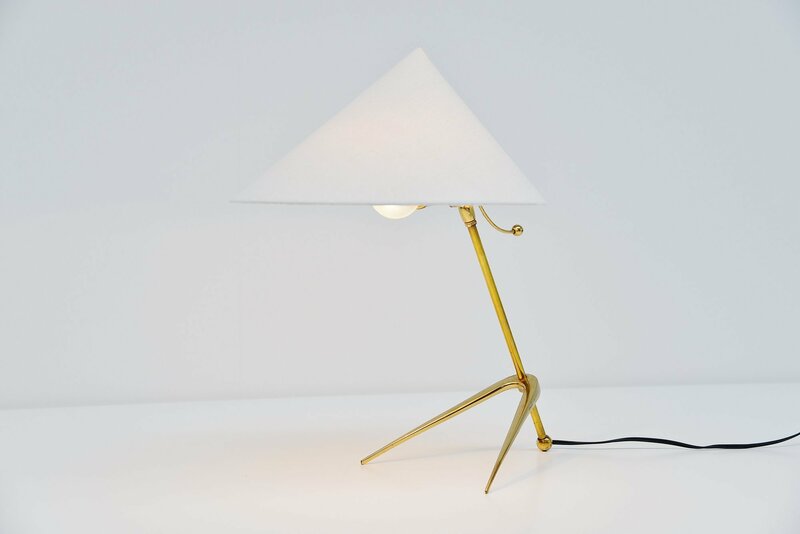 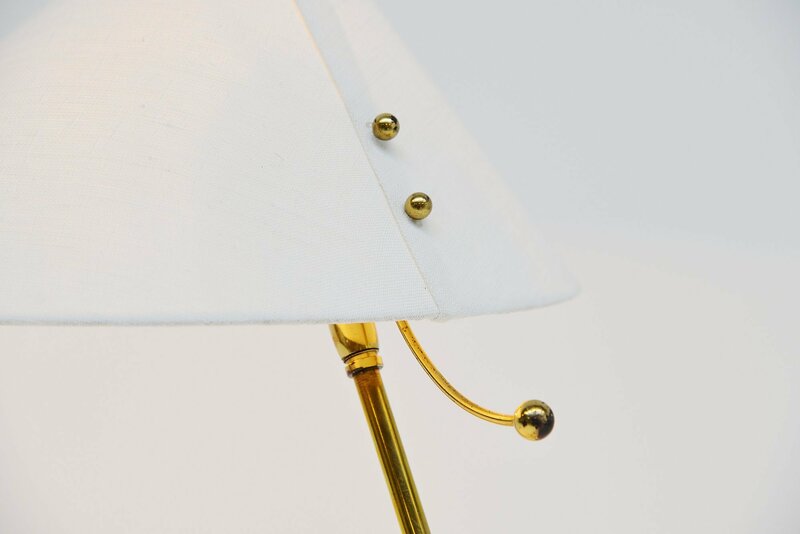 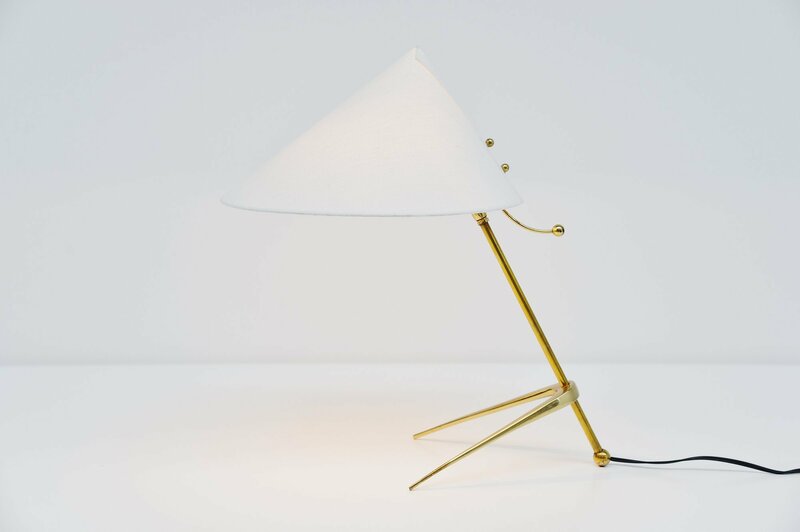 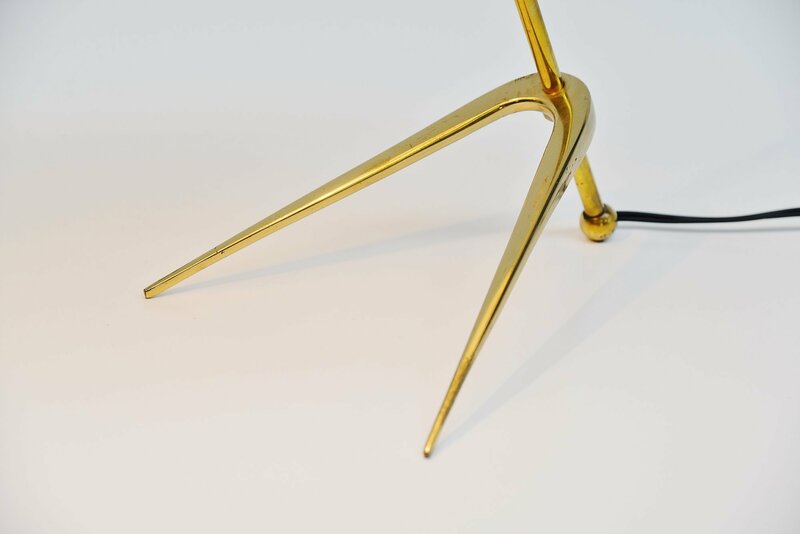 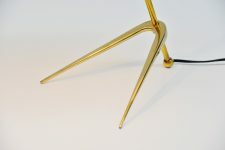 This lamp has a solid brass frame, very dynamic shaped. 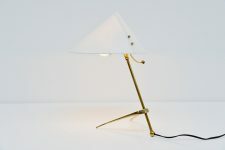 It has a nicely covered off white shade with nice brass adjustable arm at the back. 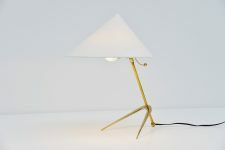 The lamp gives very nice warm light when lit and looks amazing. 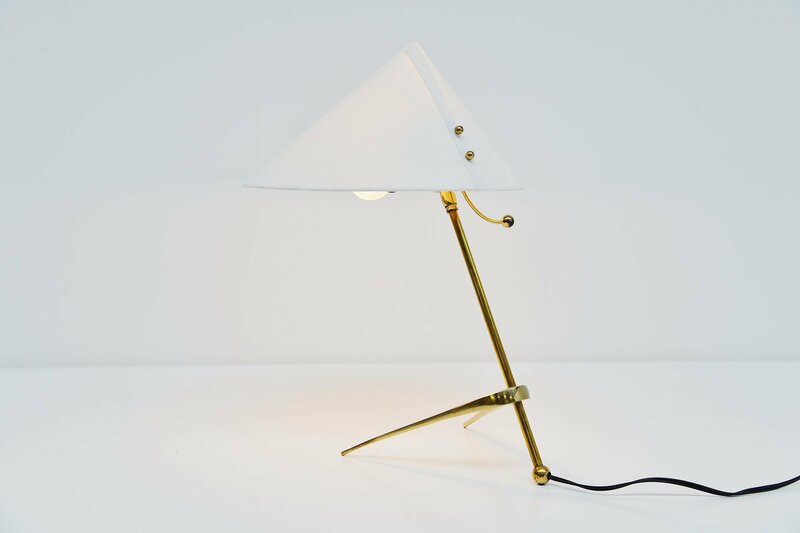 This lamp with adjustable shade uses a E27 bulb up to 100 watt.